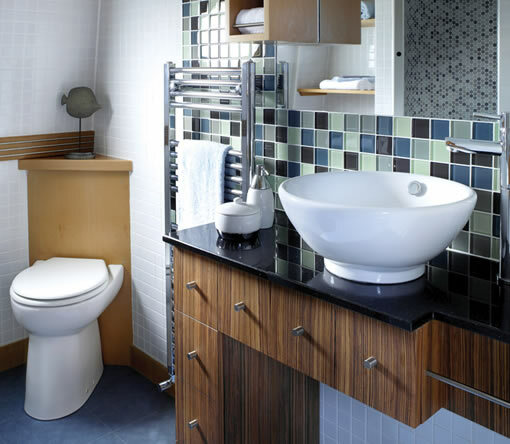 The breathtaking bathroom combines style and function, and is fully tiled throughout with Italian satin-finish mosaic tiles. There is a circular shower area tiled in round mosaic tiles with anti-slip tiles to the floor and recessed LED lights above. A white ceramic basin with polished chrome ‘post’ style mixer taps is seated on a Granite plinth, with drawer below. There is a white porcelain loo, chrome heated towel rail and full-height shelving area. A large floating glass mirror with halogen lights, feature storage and a 3D Amtico floor complete this luxurious and spectacular design.